Face cleaning with ultrasound – advantages and disadvantages. A quick, easy and inexpensive way to refresh your face. Ultrasound cleaning is the ideal method for any age and skin type. Learn more about ultrasonic cleaning, its advantages and disadvantages. Ultrasonic cleaning is a cosmetic skin refreshment method using high frequency waves. The purpose of ultrasonic cleaning is to remove the dead cells from the top layer of the skin. Under the effects of waves, the dead cells are “peeled” without damaging the skin. After this procedure the person looks healthy and toned. The cleaning itself is done with an ultrasonic spatula that gently and painlessly cleanses the face. Advantages of face cleaning with ultrasound. The procedure is non-invasive – unlike manual cleaning of the face (hand grip), there are no redness or wounds. Suitable for all types of skin and for women and men of all ages. The difference is visible immediately after the first procedure – the skin is tanned and refreshed. This procedure stimulates the production of collagen and acts antibacterially. Disadvantages of face cleaning with ultrasound. There are not many known shortcomings in this procedure. The procedure is not recommended for people with heart problems and high blood pressure. If a cosmetician / dermatologist who works with the device is a professional, they can apply the method even to pregnant women. One of the few drawbacks is that you can get an allergic reaction to the gels, ampoules or creams that are being used. But this is not directly related to ultrasound as a device. Clean the face with ultrasound – what should we be careful about? The procedure is not recommended for people with heart problems and high blood pressure. In theory, it is possible to obtain such a home appliance, which is highly unpredictable. Unprofessionals may not know how to handle the different frequencies of the appliance and cause personal injury. The procedure is also suitable for older ladies. Ultrasound stimulates blood circulation and collagen production. This is the easiest way to refresh your skin without undergoing expensive procedures. Ultrasound is a good way to keep your acne under control, especially if cosmetics and medicines do not work for you anymore. 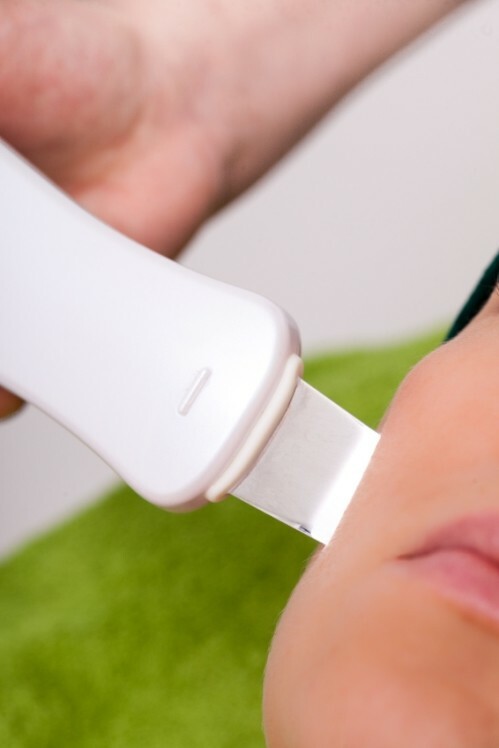 When cleaning the face with ultrasound, the skin is cleansed, the procedure kills the bacteria and tones. The results are very good even after a few procedures. Cleansing the face with ultrasound in comedones. If you have a problem with comedians, this procedure will help you. 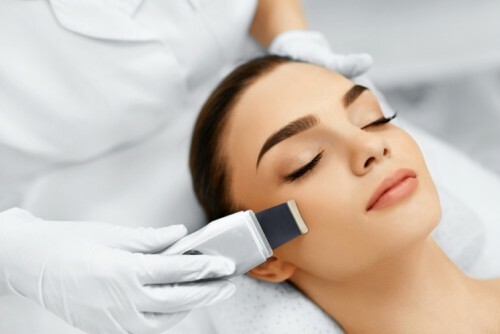 Regular cleaning of the face with ultrasound will reduce the production of sebum and will make the skin softer, and with time the pores will create fewer problems.